This outlines metal roof repair, coating and restoration procedures for the application of EPDM Coatings to fix roof leaks and extend the service life. These are suggested specifications and actual application requirements may vary and are the responsibility of the installer. Submit product data sheets, technical data verifying physical properties of materials and installation instructions. Upon request, submit test reports demonstrating compliance with specified design and performance criteria. Supplier Qualifications: The EPDM Roof Coating System for metal roofs, as supplied by EPDM Coatings, is approved for use on the project. Installer Qualifications: Utilize an installer with demonstrated experience on projects of similar scope and complexity. The installer shall be approved by EPDM Coatings to apply the system. Manufacturer's written verification of applicator approval is required. Delivery: Deliver materials in manufacturer's original, unopened, undamaged containers with identification labels intact. Storage: Store all materials at temperatures between 55°F - 90°F (12.7°C - 32.2°C) with careful handling to prevent damage. Do not store at high temperatures in direct sunlight. Protect from exposure to harmful environmental conditions. Protection: Protect all materials from freezing and other damage during transit, handling, storage and installation. Substrate should be structurally sound. Recommendations for material consumption are for ideal conditions. Product coverage rates may vary due to uneven application, surface texture, absorptive properties, wind conditions while spraying and/or other variables. A moisture survey or other assessments may be needed to determine the presence of wet insulation under existing roofing material. This specification may not outline all procedures for preparation and finishing of penetrations, drains, flashings, etc. This work should be outlined separately by the contractor before the work commences and shall be performed observing good trade practices. Manufacturer's Warranty: Manufacturer's standard warranty document shall be executed by the authorized company official. 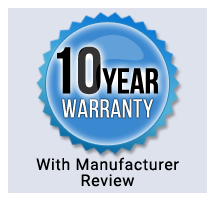 Comply with manufacturer's warranty application procedures. A Pre-Job Qualification Form should be submitted and approved prior to job commencement. The elastomeric roofing system for metal roofing is a spray-applied roof coating supplied by EPDM Coatings. For quicker repairs, use SeamStitch® Butyl Tape or Eternabond® WebSeal in lieu of PrimeLockT Bonding Primer and SeamStitch® Polyester Roofing Fabric when sealing non-structural gaps, seams, overlaps, flashings and penetrations. Use Butyl Rubber Coating instead of PrimeLock® Bonding Primer as the adhesive for SeamStitch® Polyester Roofing Fabric when installing the Solvent Based System. Roof accessories, flashing, seam tapes and similar materials shall be approved by the manufacturer. All materials used shall be applied in accordance with its manufacturer's recommendations. Visit the EPDM website for recommended spray equipment guidelines, or consult the spray equipment manufacturer directly. Comply with the instructions and recommendations of the roof restoration system manufacturer. Comply with manufacturer's product data, including product technical bulletins. Verify conditions are acceptable for application of roof restoration system. Inspect metal roof to receive roof coating and make sure they are clean, sound, properly prepared and free of moisture, dirt, debris or other contaminants. Verify that all on-roof items, penetrations, mechanical equipment, HVAC drains are in place and secure. All air conditioning and air intake vents should be suitably protected or closed. Verify that areas within the vicinity of the application area as protected from overspray. Verify that all roof drains, gutters, downspouts, catch basins are clean and in working order. Cleaning: The entire metal roof surface must be clean, sound, dry and free of any contaminants that would interfere with the proper adhesion of the roof coating. This may require pressure washing, scraping, wire brushing or other means necessary while observing responsible trade practices. All loose paint and rust should be removed before applying any product. Residual Asphalt: Installer shall make every effort to remove all loosely adhered asphaltic roofing elements. Ponding Water: Contractor shall make every effort to mechanically eliminate all ponding water areas on the metal roof prior to application of any roof coating product. For roofs with minor ponding (ie. small puddles less than 1/2" deep) that cannot be corrected, consider using the solvent system. Repairs: Repair and dented and/or damaged roof panels to correct any ponding areas. Do not apply coatings until all unsatisfactory conditions have been corrected in a manner acceptable to the original metal roofing manufacturer. Inspect metal roof to receive roof coating. Always perform a coating adhesion test before doing the entire job. Primer: Entire metal roof shall be primed using the appropriate primer and following the application rates specified in the table below. Seams: All seams, penetrations and parapet walls should be flashed using SeamStitch® Polyester Roofing Fabric and PrimeLockT Bonding Primer. Apply a thin coat of PrimeLock® Bonding Primer over the seam and roll out 6" fabric over the seam and apply another coat of PrimeLock® Bonding Primer over the fabric. Encapsulate the fabric with the appropriate elastomeric coating and feathering it at least 2" to 3" past the edge of the fabric. Substitute PrimeLockT Bonding Primer with Butyl Rubber Coating when installing a solvent system. Read 2.02 for details. Exposed Fasteners: Exposed fasteners should be inspected, tightened or replaced as needed. Fastener heads should be caulked. Base Coat: Apply appropriate base coat using the application rates specified in the table below. Allow to dry thoroughly for 8 - 12 hours depending on humidity and temperature. Top Coat: Apply appropriate top coat in a cross-hatch technique using the application rates specified in the table below. Allow to dry and cure before exposing to foot traffic. Use the Acrylic System for metal roofs with good slope and no ponding water issues. Use the Solvent System for metal roofs with minor ponding issues or when outdoor temperatures are no longer favorable for acrylic coatings. Limitations: The products listed below are not compatible with Kynar-coated metal roofs. Utilize manufacturer's field services to verify proper installation of the system. Areas that do not meet the minimum standards for application specified herein shall be corrected at the contractor's expense. Manufacturer's inspection or verification shall not constitute acceptance of responsibility for any improper application of material. Surfaces not to be coated shall be protected during the application of the system. If protection is not feasible, surfaces shall be restored to their proper condition by cleaning, repairing or replacing. In conjunction with the final inspection, all debris, containers, materials and equipment are to be properly removed from the job site. Grounds are to be cleaned undamaged and acceptable to the owner. Dispose of all containers in accordance with state and local environmental regulations. Reflectivity of coatings may be reduced if roof surface is not cleaned regularly. Control overspray especially during windy conditions. All parking areas adjacent to (within 75 feet ) the work area are to be cleared and roped off. Protect work from damage due to subsequent construction activity on the site. Roof coatings are not traffic grade. Areas surrounding roof top equipment may be reinforced by embedding SeamStitch® Polyester Roofing fabric and applying a thicker membrane (40 - 50 mils). Walk pads should be used if frequent maintenance traffic is expected. This product data sheet conforms to the editorial style prescribed by The Construction Specifications Institute. The manufacturer is responsible for technical accuracy.